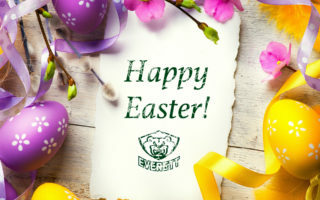 EVERETT, Wash. – The Everett Silvertips (@WHLSilvertips), proud member of the Western Hockey League, announced a pair of games are scheduled for Friday, Mar. 2 vs. the Kelowna Rockets at 7:35 p.m. and Saturday, Mar. 3 vs. the Seattle Thunderbirds at 7:05 p.m. at Angel of the Winds Arena in downtown Everett. 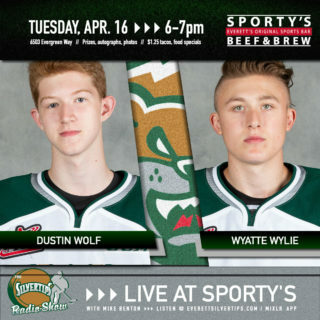 The Silvertips will open doors to both games at 6:00 p.m. and tickets are on sale for both games at links below. Before Saturday’s game, a special Army vs. Navy Game, in conjunction with the night’s event, is open to the public for free admission at 2:00 p.m. Both games are combine for a draw a large crowd to downtown Everett, with extremely limited tickets remaining on sale for Saturday night. 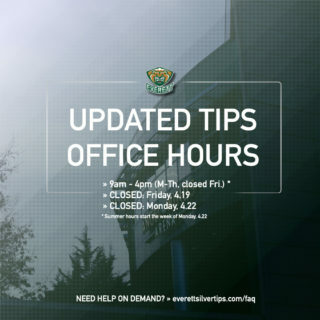 The Silvertips will host the Kelowna Rockets at 7:35 p.m. and Hockey Happy Hour, presented by Broad Stroke Associates. Ticket packages start at $23 and offer a game ticket plus complimentary beverage voucher, redeemable for one domestic draft beer, house wine, 20oz. fountain drink or bottled water. Doors will open for all fans starting at 6:00 p.m., offering happy hour activities and additional 16-ounce draft Budweiser or Bud Light selections are available for just $5. The first 2,500 fans in attendance will receive a free Silvertips noisemaker, courtesy of Mill Town Credit Union. 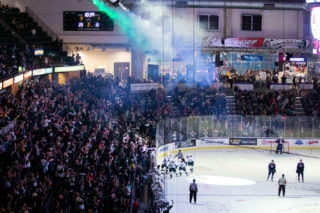 The Silvertips host the Seattle Thunderbirds in the final matchup for the regular season in downtown Everett, before a projected large crowd highlighting an annual event designed to salute the local military of Snohomish County stationed in Everett, assist associated individuals and families through ticket sales, and generate fundraising for local Navy community outreach programs and internal quality-of-life initiatives for individuals on duty. For each ticket purchase, $5 from every ticket purchased will benefit local military efforts by the Navy Recruiting District Seattle First Petty Class Officers Association. All fans in attendance can purchase a collectible, limited edition Navy Night coin for just $10, including special Silvertips graphics for the event with proceeds from each purchase forwarded to the event beneficiary. During the first intermission, recruited sailors for the U.S. Navy will participate in a formal swearing-in ceremony on the ice of downtown Everett. 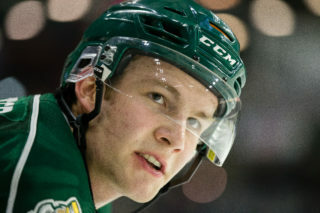 The Silvertips, with eight games to play in the regular season and a playoff berth clinched for the 15th straight season, are five points ahead of Kelowna for first place in the Western Conference, and seven points ahead of the Portland Winterhawks for first place in the U.S. Division.